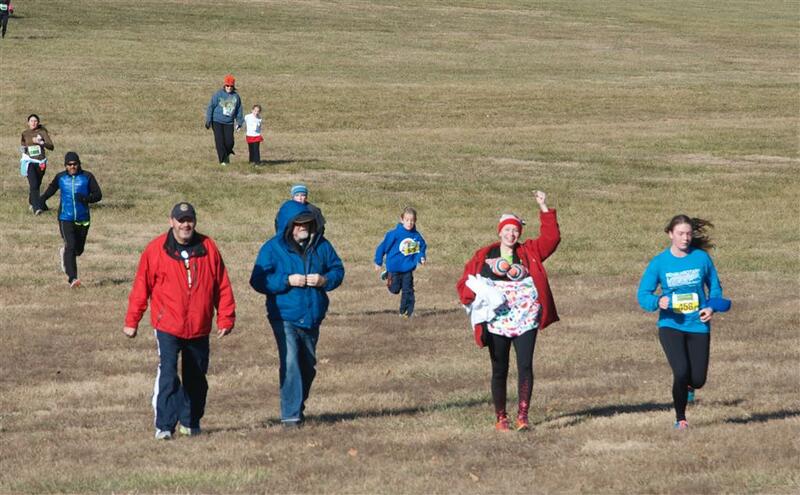 18th Rehau Rotary Resolution Race is Big Success! Family Fun: Mom, with hand raised, brings along the 2 month old Jia twins for the Fun Walk on a beautiful day. Thanks to sponsors, participants and volunteers for another successful Rehau Rotary Resolution Race on January 1, 2015. In its 18th year, it is the longest running New Year's Day race in Northern Virginia. Louis Romirez, 24, won the 10K, which was timed by Amazing Race Timing, a DC certified timing company. Common comments by participants included appreciation of delicious snacks, gorgeous and challenging rolling hills of Morven Park, live music, tuxedoed greeters giving out sparkling cider upon finishing, and the overall organization of the race. Check out the media coverage that highlights the race history and several Rotary Club members, including Chuck and Carole Maloney, who co-chair the race each year. http://www.leesburgtoday.com Leesburg Today featured stories on December 27, 2014 and January 2, 2015. More photos and information will be forthcoming on this Club website.